In the hyper-competitive business world of the twenty-first century, every little bit of market research helps. Businesses oftentimes find themselves making many tiny shifts in their business practices to try to maximize their profits. This can be something as small as changing the colors on a uniform or adjusting an employee’s closing announcement script. Whatever it is they do, it is almost always to enhance the customer experience. However, they sometimes have difficulty when analyzing these customer experiences because customer feedback is inherently flawed. Studies have shown that businesses do not get nearly as much good feedback from customers as they do when they perform poorly. This is because people go into a business expecting it to be clean and well organized. They expect employees to be helpful and friendly. So when all of those expectations are met, customers do not think anything noteworthy has occurred. Are you shocked when something happens the way you expected it to? No. Good evaluations typically come when something extraordinary has occurred. Bad feedback, however, happens far more often. Customers who feel they were wronged or their needs were not met are much more likely to leave comments. This means that the majority of customer comments are going to be negative. However, how do you know this is reliable? Is this the average customer experience or is it just a few disgruntled customers who are much louder than the silent majority? 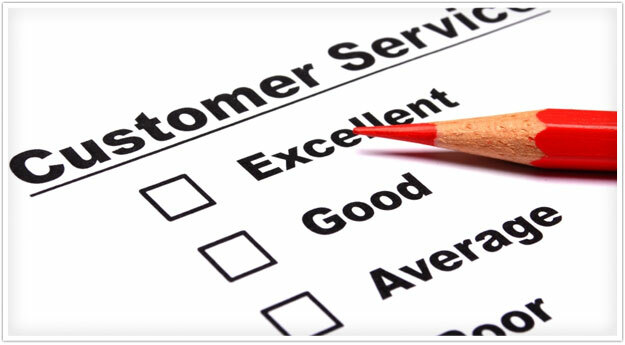 Customer surveys are a good way to know what the customers are thinking. However, these need to be carefully tailored to get the most honest and representative sample of answers. That is why it is best to use surveys designed by professionals who specialize in customer reactions. Friction is anything that occurs to make it more difficult for customers to leave their opinions with a business. This can be as simple as surveys that the business wants to be filled out, but there is no pen available. If there is no pen, customers will likely just skip taking the survey. Surveys created by professionals are available in multiple formats with designs that allow them to be taken quickly and easily by customers. Many times, these types of surveys happen online and come with analysis by the company creating the survey itself. The questions themselves are also very important. Human psychology is very confusing at times, but it is also sometimes very predictable. For those who have been specializing in customer psychology, knowing what to ask customers is paramount to getting good reactions. A professionally created survey will ask the right questions in such a way that customers feel inclined to leave honest reactions. These honest reactions are completely crucial for a good outcome. Also, the questions should be asked in a way that does not prejudice the customer into answering a certain way. Creating one’s own surveys often creates a bias because the business obviously wants positive answers. When an independent third party creates the questions, they will not be tainted by any sort of confirmation bias.